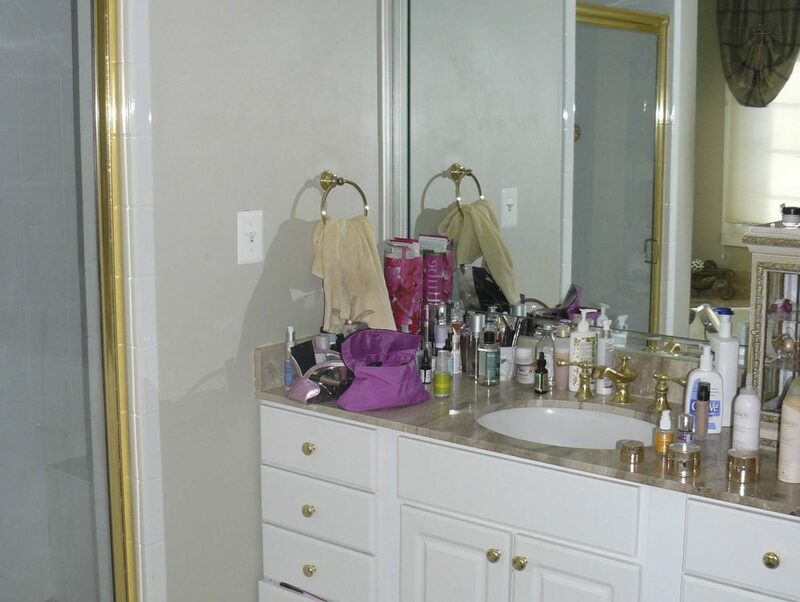 To make a clean break with their dated master bathroom, these clients would first need to trade places with their teenage son. A floor plan flip—swapping the master suite with the son’s bedroom on the other side of the house—allowed the new design to take advantage of the structure below, pushing out with a dormer bathroom addition over the existing breakfast room. Awash in neutral tones, the master bathroom now features a generous two-person shower with twin mosaic-tiled water columns. Large-format gray ceramic tiles cover the heated floor throughout and are repeated in the backsplash and rear shower wall. Spacious his and her vanities—with ample cabinet storage, pullout hampers, and hidden electrical sockets—flank the centerpiece shower. 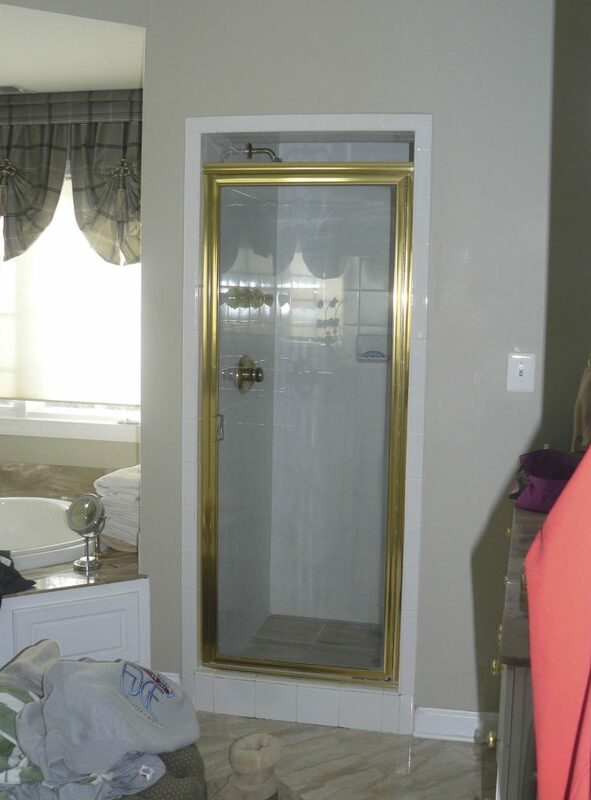 A separate toilet room behind a frosted glass pocket door and a linen closet balance either side of the entrance to the relocated master bathroom. Super-slim vessel sinks (made of steel with white enamel glaze) sit atop gray quartz counters, and matching lift-up medicine cabinets provide even more personal storage above. A striking glass ceiling fixture, combined with recessed lighting and sconces, highlight the room’s sleek appeal. 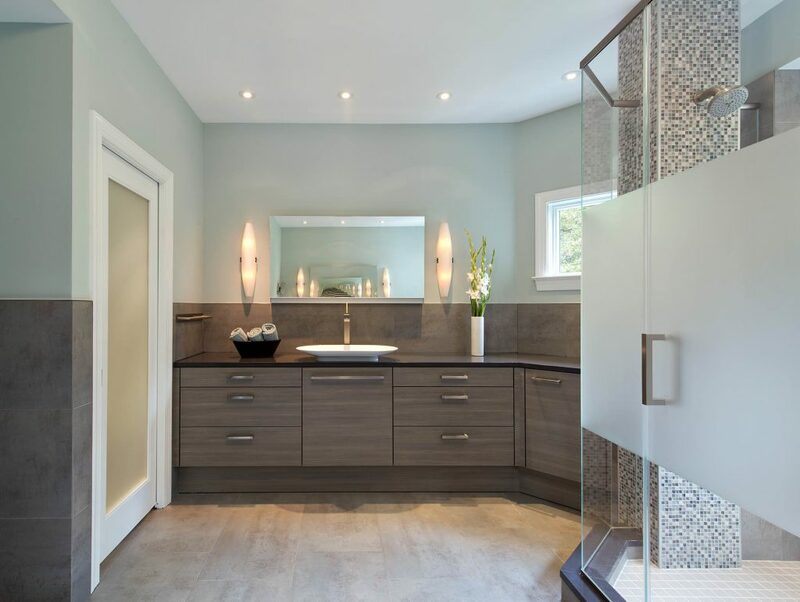 Matte metal finishes complete the master bathroom’s modern update. 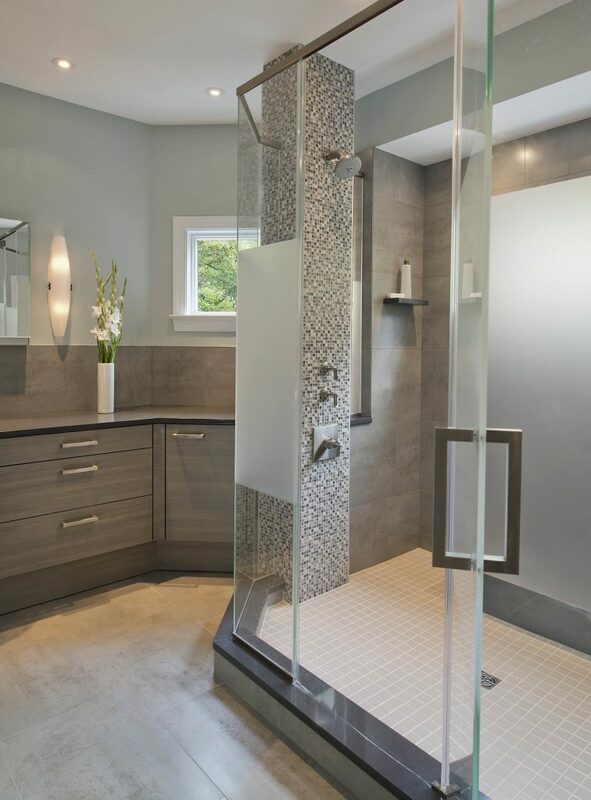 Custom etched-glass shower panels add privacy, while a chunky cube provides a stable bench. The relocation also made way for an abundant closet for mom, while another smaller dormer addition over the kitchen created a more sensible closet for the man of the house. Even the son scored, with an adjoining bath and walk-in closet in his new room. 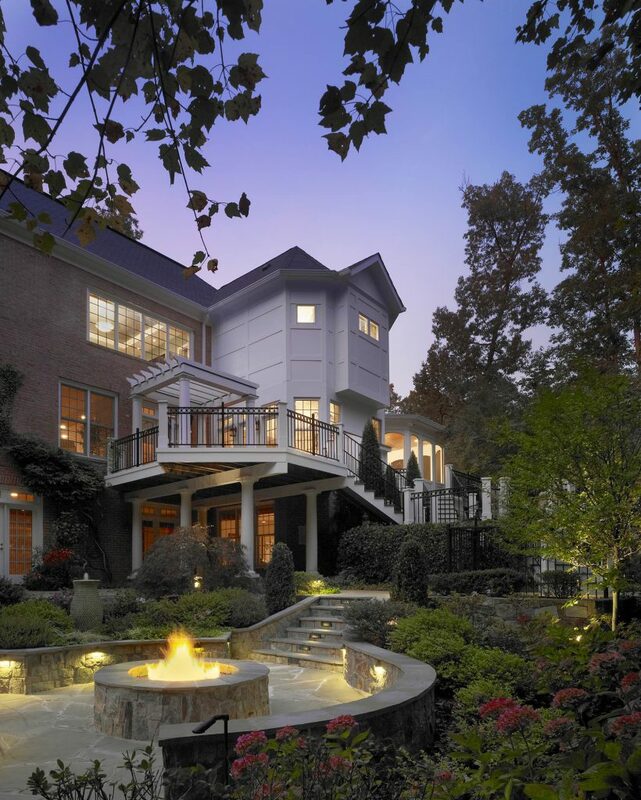 Awarded the 2014 National Kitchen & Bath Association (NKBA) Baltimore-Washington, DC Chapter Award: Honorary Mention.